My son hates dressing up and he earlier this year earned the nickname UndieMan for preferring undies and singlet to a costume. 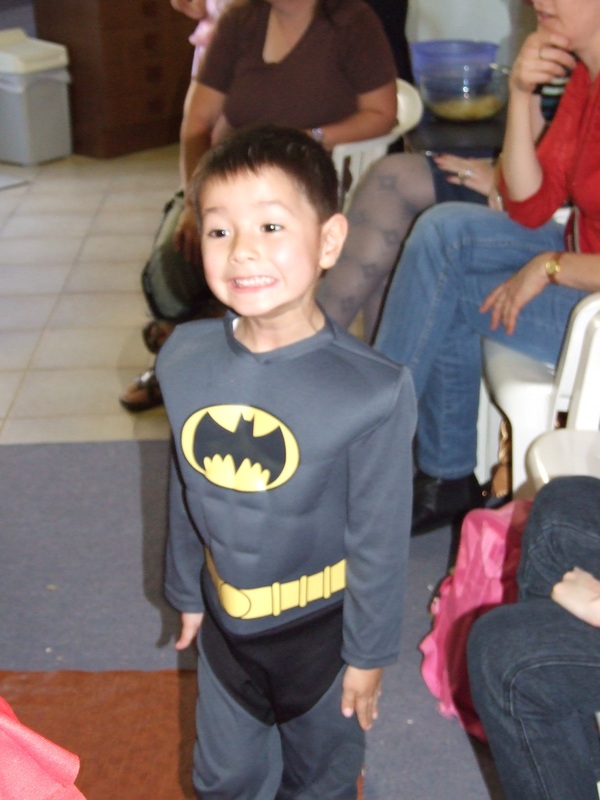 But we recently coaxed him into this Batman outfit for a friend’s fairy party. Yes, you read that correctly – it was fairies/princesses and pirates but our only options were fireman, Batman or ninja. We felt it safer to leave the nunchucks at home so Batman it was. Alas we couldn’t get him to stick with the cape and mask. Isn’t he the skinniest superhero ever?